I learned Paul Gauguin worked on the Panama Canal. I learned an estimated 22,000 people DIED during its construction. I learned I cannot catch a BREAK. Vincent van Gogh shot himself in a wheat field in 1890, staggered home, and died two days later. No one asked if he was okay because they thought he was drunk. “Wheat Field with Crows” is speculated to be his last work. 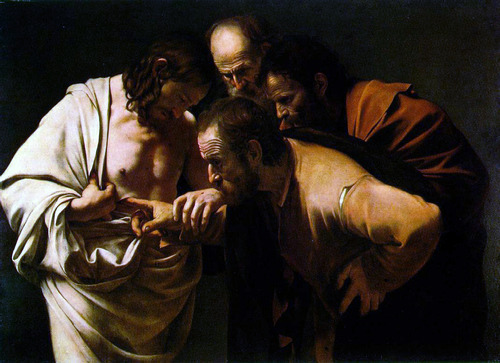 Doubting Thomas is the original social media poke. Happy second Sunday of Easter, all you that know seeing penetrating is believing. 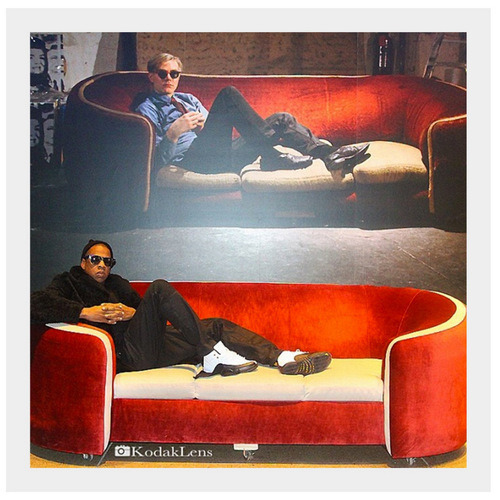 Today’s post is brought to you by the number 3: the number of times Jay Z’s dropped Warhol in his verses. Are there more? Possibly. I’m trying to lounge similarly on my couch, so I’m too busy to search his discography right now. Sometimes, after a long Tuesday, you just need to sit in the corner with a floral crown. Especially when you realize this work broke the record for the amount paid at auction at a cool $104 million dollars. Remember Desperate Housewives? Me neither, but the introduction of the show misused a whole bunch of artworks to show the dismay of women on Wisteria Lane. Let’s back up to 1434, shall we? 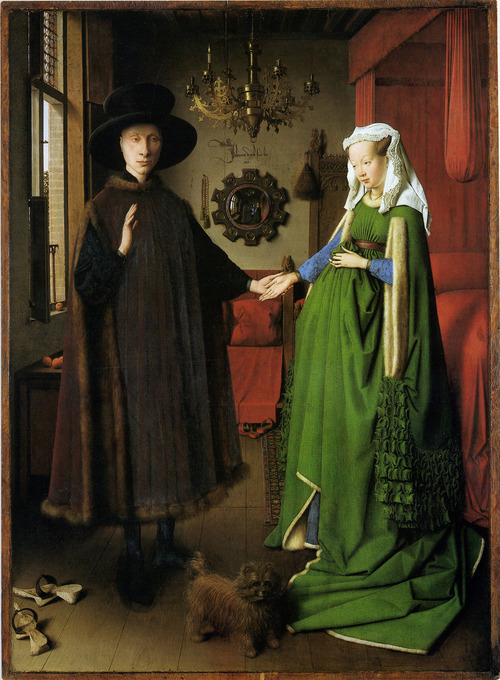 Arnolfini’s a wealthy dude livin’ with his lady in Bruges. The lady isn’t pregnant. She’s fashionable. They’re wealthy, draped in excess cloth and furs. They even have a convex mirror! Classy. He signed the wall, “Jan van Eyck was here, 1434.” Jan van Eyck loves liminal space, meaning the space in between the imagined and the real, the imagined ‘real’ and the real ‘imagined.’ Is he signing the artwork, or his appearance in the painting? Is he making Banksy look like a has-been, or is he just setting the standard of signature as witness? Whatever you do, don’t ask Teri Hatcher. She’ll NEVER know. 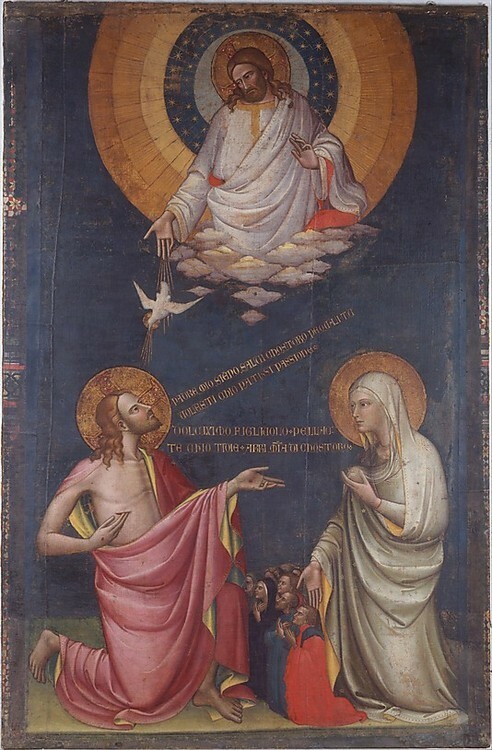 “The Double Intecession” from 1400 has the Virgin Mary as a pretty hot ambassador to Christ, as she suggests her, well, nourishment of power. There’s so much at work here: The physicality as access. The fascination with fluidity and—let’s be frank, fluids, with the whole water-to-wine-to-blood transubstantiation. The whole female instability isn’t new?! Go, girl. In her suffering, she makes herself fundamental to salvation. In other words, she really sticks it the static Medieval Man. It’s no secret Pollock laid his canvases on the floor and painted around them. What’s amazing to see is his signature. In signing his work, he orients the viewer with how it should be viewed (and avoids the embarrassing mistake of a museum hanging the darn thing upside down). emojis in Edward Hopper works. something I wish I would have thought of first. Cezanne felt inferior to his art school friends. He quit after 5 months. This information is like learning Pharrell is 40. My mind is BLOWN.